Since I was a child, football has always been a big part of my life. Regardless of whether it was/is playing it, watching it, reading about it or simply talking about it, football has been and still is the one thing I simply don’t get tired of. Today I am more than happy to say that my professional life is also all about the beautiful game, but let me start from the beginning. I studied Economics and Management at two renowned Universities in Italy and, to gain international experience, I participated in two exchange programs in Australia and the USA. During my academic career, I was already particularly interested in the business side of football, trying to understand commercial activities and management practices of European top clubs. Although I was already playing with the idea to enter the football industry, at that point I didn’t have the courage to actually go for it. After graduating from my Master’s Degree, I started working for the Chamber of Commerce Bolzano and two years later I accepted a finance position at IBM. Despite the fact that both experiences allowed me to grow personally and professionally, I felt that I hadn’t found what I was really looking for. Deep inside me I knew that football is the career I should have opted for and when I came across The FBA I realized that this was my chance to do what I hadn’t had the courage to do before. In March 2018 I joined The FBA family, starting a completely new chapter in my life. This step enabled me to combine my business background with my passion for football. In addition to the online classes, I had the chance to attend Soccerex in China, the ESSMA Summit in Dublin and the World Football Summit in Madrid, events that allowed me to learn from and network with experienced professionals in the industry. Another highlight of my FBA journey so far is the internship at FC Bayern München, one of the most prestigious football clubs in the world. 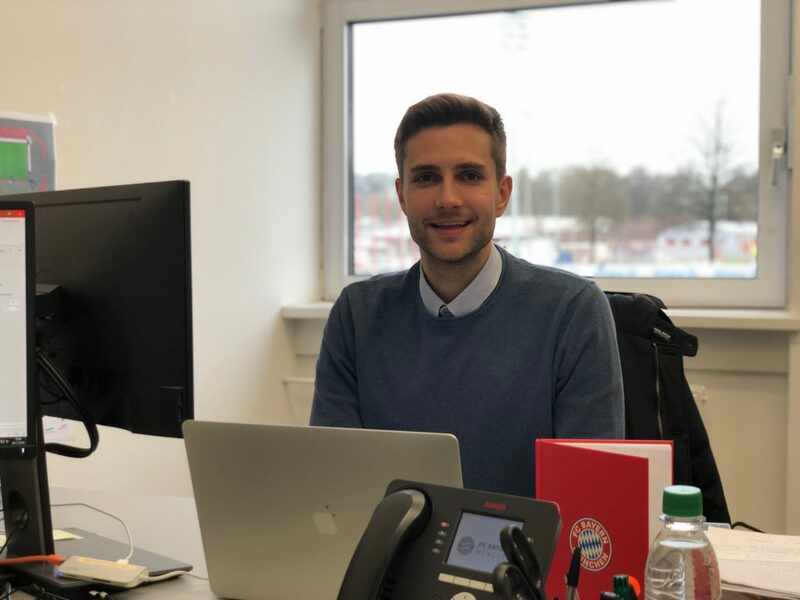 At FC Bayern, I am working within the New Business Department, where our main goal is to secure new partners and develop new business areas for the club. The tasks that I have been involved in are extremely exciting. So far, I have evaluated current partnership deals, conducted a competitive benchmarking report, identified potential market opportunities for the club and helped to design suitable partnership offers. Moreover, I have been given the chance to participate in several business meetings, which allowed me to understand the commercial side of the game from the perspective of various stakeholders of the club. My internship has been extremely eventful since the beginning. In fact, during my first week at FC Bayern I was invited to the annual Oktoberfest in Munich, which was a great way to get to know my new colleagues and understand the importance of history and traditions at the club. Then, perhaps the most fascinating event so far has been FC Bayern’s Annual General Meeting, where I could experience first hand how the President and the Board of Directors presented the annual results to its members and discussed the club’s strategic plan for the future. Last but not least, the weekly kickabouts among Bayern employees, the joint stadium visits on match days and the Christmas party at the Allianz Arena are some of the other moments that have made my time at Bayern München so memorable. However, if I had to name only one thing that I like the most at FC Bayern München I would definitely choose the people working at the club. All my colleagues are extremely driven and enthusiastic about what they do and made me feel at Home from day one. The club’s motto “Mia san mia” is the Bavarian variation of “Wir sind wir”, which roughly translates to “We are who we are.” It really is fascinating to see that everyone within the club breathes and lives this profound Bavarian feeling every single day, proudly working for and representing the German record holding champion. My whole experience at FC Bayern München feels like a dream. Especially, working at the famous Säbener Straße in an office with a direct view of the first team’s training ground seems unreal. Over the last months I have developed a strong feeling for the club and I can say already now that even when my time at FC Bayern comes to an end, this club will always have a special place in my heart. Simon Vikoler is a Candidate of The FBA’s Professional Master in Football Business 2nd Edition, expected to graduate in March 2019. He can be contacted via LinkedIn.